Spontaneous memorials that arise in the aftermath of tragedies provide a community with an outlet to express its grief as well as its unified resolve. Because these makeshift memorials usually deteriorate, however, more lasting expressions are necessary to help heal wounds that can take years of recovery. That’s the challenge the Orlando, Fla. community faced in 2016. That summer, a gunman killed 49 people and wounded 53 others at Orlando’s Pulse nightclub making it the deadliest mass shooting in United States history at that time. Pulse opened in 2004 and became a refuge for Orlando’s LGBTQ and Hispanic communities. Some members of the HKS Orlando office have personal ties to the club and in some cases to victims of the attack. As the healing process moved forward, staffers began searching for ways they could aid the recovery process. Our Orlando staff found a way to contribute through the HKS design fellowship program. 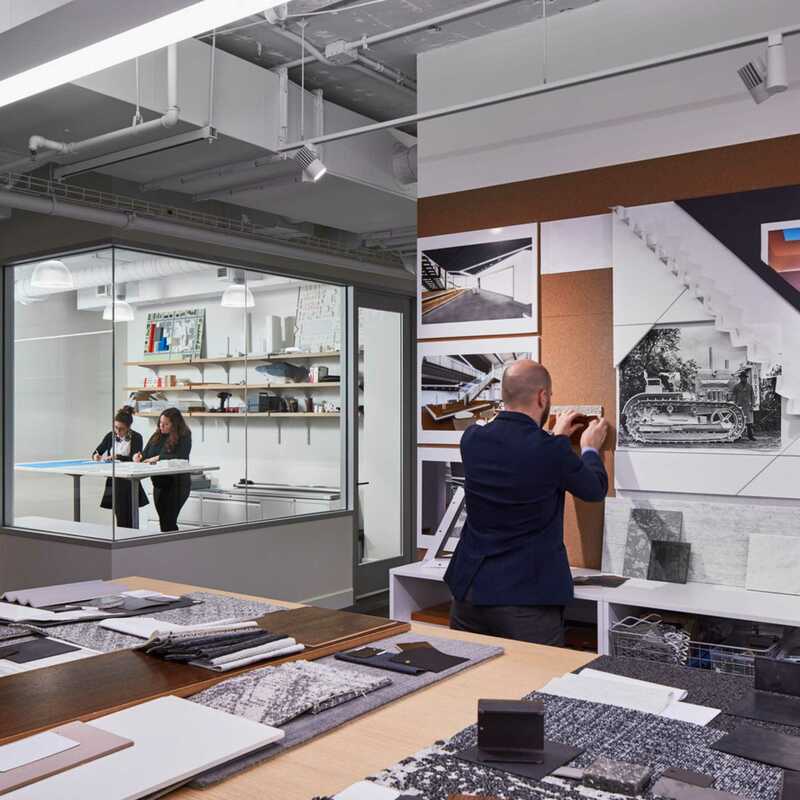 The inaugural Southeast Design Fellowship (SEDF) was hosted by HKS Orlando in March 2018, becoming HKS’ third regional charrette. HKS design fellowships serve as incubators for young designers with a fire for solving complicated challenges in their communities. The SEDF challenged participants to create a permanent monument to the victims of the terror attack at Pulse, and members of the OnePulse Foundation offered critiques of the submissions. To celebrate the lives lost and the legacy of Pulse, the fellows worked to design a tribute worthy of the victims and their families, the community at large and the OnePulse Foundation. 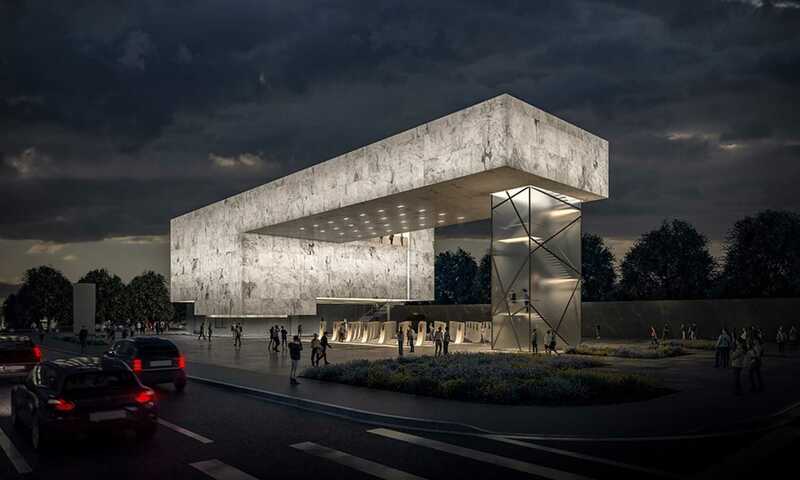 The SEDF divided into four teams and were tasked look beyond standard conventions, property and precedent to create a memorial that will help the community heal from – but always remember — the heinous assault. Below are descriptions of each team’s design and the guiding principles behind them. How do we make a place that not only commemorates the lives lost but brings solace and understanding to the survivors and the loved ones left behind? And how do we celebrate the community and the city that came together in its darkest hour? We began our design by asking these questions and recognizing the site as a sacred relic worth preserving. 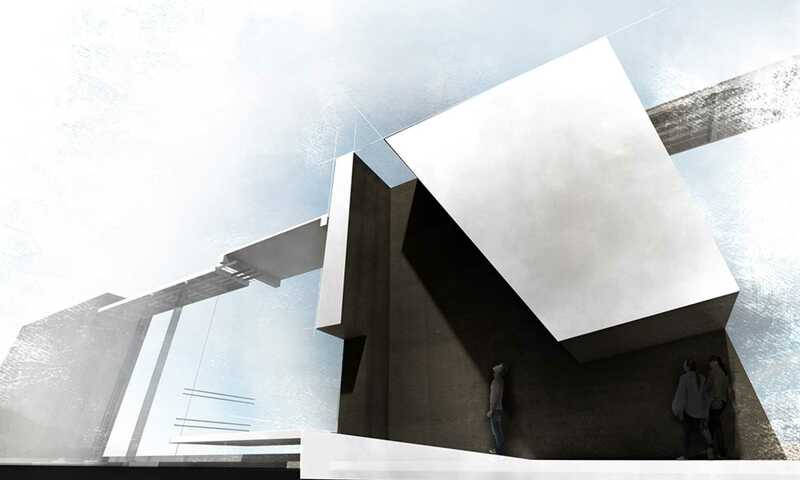 We designed a reliquary to sit delicately above the existing nightclub, but it pushes down into the space and brings light into the darkness, a symbol of love conquering hate. The intent of the Mark Memorial is to create a center of acceptance and understanding. Visitors have the option of two paths. 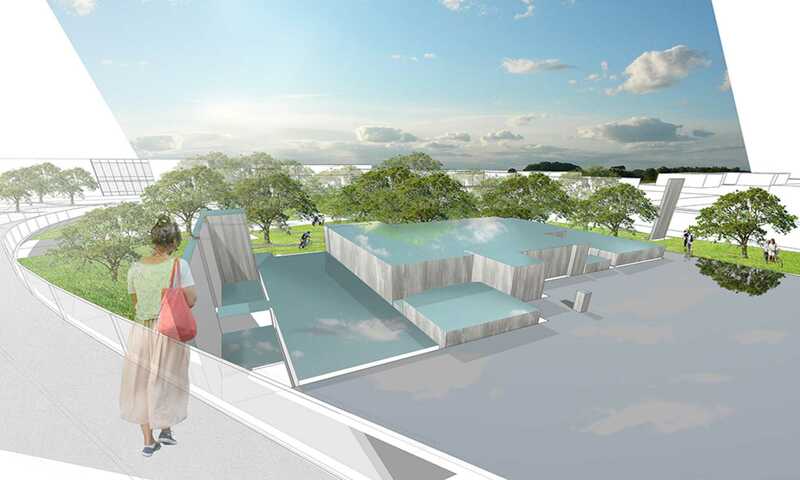 The reflective side is formed by turning the original location of Pulse into a lively garden and fountain where the community can gather and contemplate. This gives the most affected community members a way to remember loved ones without reliving a traumatic experience. The historic path takes you on a journey of what happened that night by telling the stories of those who were lost. Adjacent to the original site, the historic path contains segments of the original building and observable artifacts. 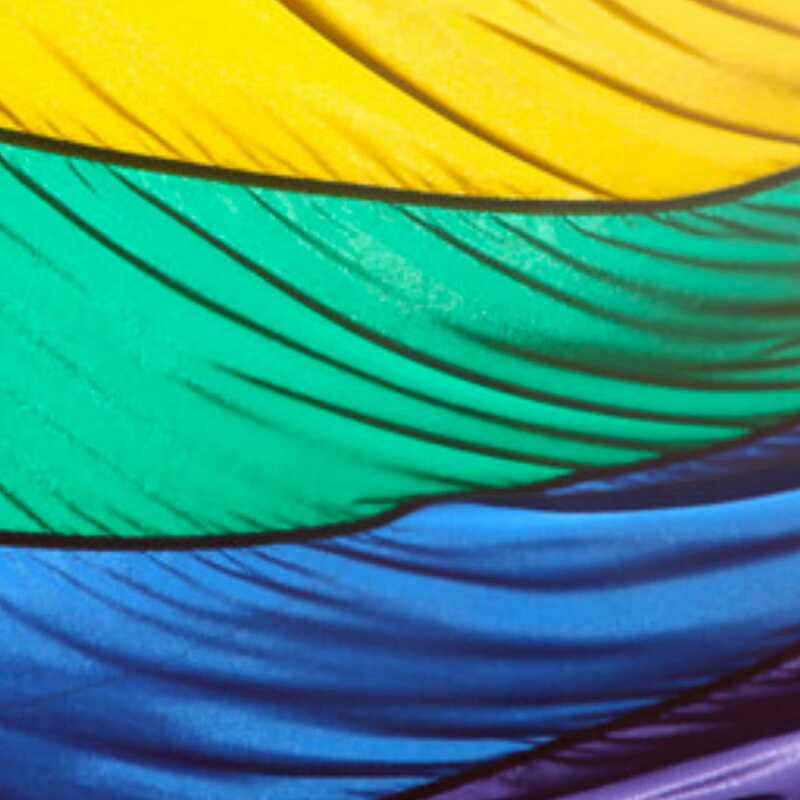 From the beginning, Pulse was a place where people in the LGBTQ community sought refuge and were empowered to express themselves without pressure to conform. 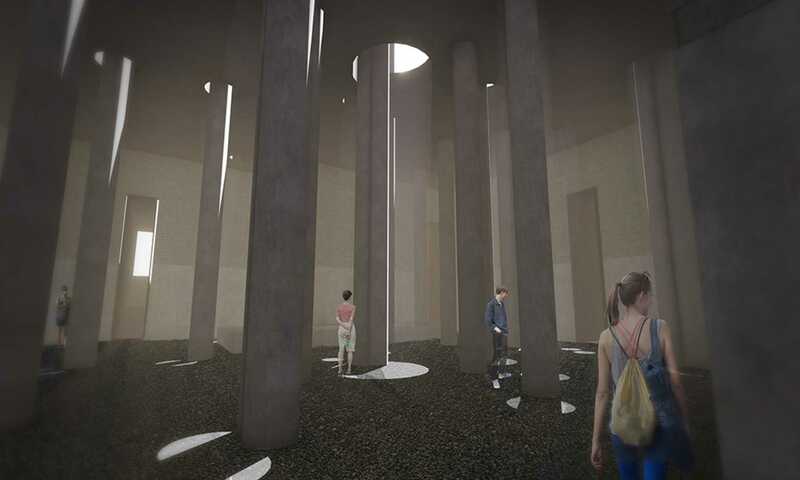 This design intends to reclaim the site as a shelter that commemorates the lives of victims by creating a sacred place for survivors, family members and the LGBTQ community to gather. How does a community respond to a tragedy such as this? Our design seeks to unite the city by returning light to Pulse and illuminating the lives that were lost so they are never forgotten. We begin by excavating within the original shell so that visitors enter through a downward ramp and may look up from below the dance floor. 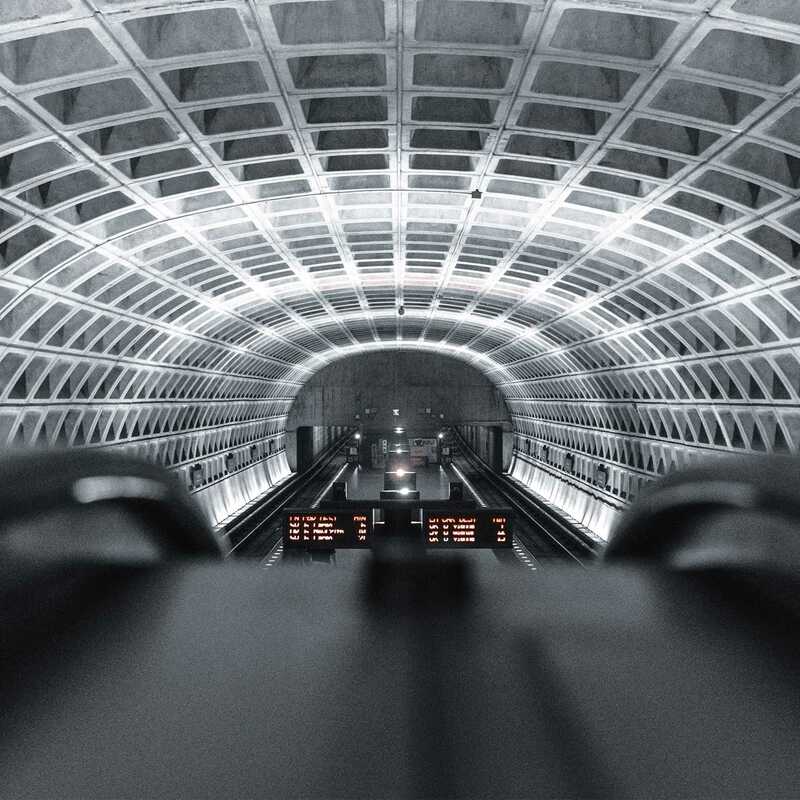 Forty-nine columns – representing each life lost — extend through the roof and allow light to penetrate the space. Outside, the lawn is home to a dense grove of trees and illuminated columns that represent each survivor. This community space is intended for private reflection, as well as a gathering space to celebrate life. 2018 marks the first installation of the HKS Southeast Design Fellowship. Stephen is a healthcare architect and architectural educator in Orlando, Fl. He is a 2011 alumni of the Design Fellowship, and a leader for the 2018 Design Fellowship in the southeast region. Claudia Cintas is a member of the healthcare design team in HKS' Orlando, Fl., office. She is also a past participant in the Design Fellowship, and she will be a leader for the 2018 Design Fellowship in the southeast region. Zachary Greco is a member of the healthcare team in HKS' Tampa, Fl., office. Zachary is a part of the 2018 Design Fellowship leadership in the southeast region.